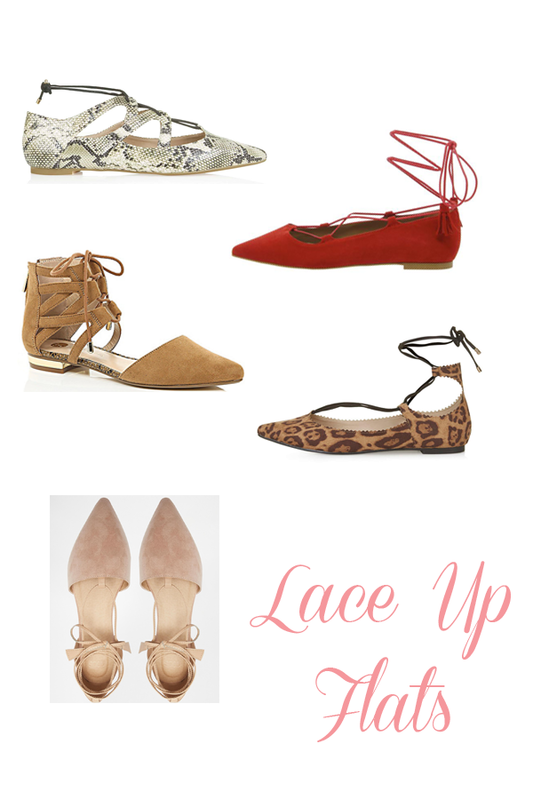 We’re showing some shoe love to our favourite lace up flats today. We have been loving them for quite some time now and luckily they seem to be sticking around for another season – yay! I found this pair in Parfois earlier in the summer and have worn them to death! I love how they can instantly transform a simple skinny jeans and tee look to something far more polished. From work to weekend, these trusty flats are necessary in multiple colours methinks! The ASOS pair above are definitely jumping in my basket at only €34.25. I’ve also got a soft spot for the ruby red from Office And who can resist a splash of leopard? Too many choices!! Have you dipped a toe in the trend? Let us know in the comments below! Previous Post Oat Flour Banana Bread….